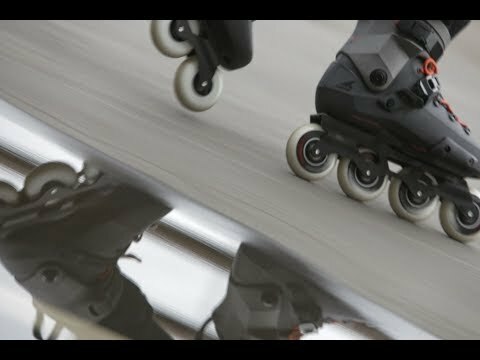 Brand new for 2018 comes the versatile Rollerblade Twister Edge Skate. The Twister Edge has molded boots that started the urban skate category and continue to be one of the bestselling skates in the market. It changes the game once again for urban skating (and skating in general) with a new design, fit and level of versatility to continue its reign as the benchmark skate in the urban skate industry. The design, shell, cuff and liner work together to create a superior anatomical fit. The sole is designed with an Anti-Torsion Box for the skates to be more efficient with increased control and stiffness and it has aluminum plates built in for torsional rigidity with the frame. The 243mm frame and Supreme wheels provide superior control and speed. Molded skates are known to be durable in any urban environment, trail or secret skate spot one may have. This is one of the most compelling combinations of fit, support and maneuverability. The brake comes in the box. Nice looking but made for narrow feet. Q: Is the break removable? A: Yes, the brake is actually removed already and is in the box with the skates when purchased so it can be added if desired. Q: Are these skates ok for beginners ? A: Sure, these are going to be OK for beginners, the smaller wheel and brake are going to be great to keep you under control and the stiff frame and boot will give you ample support. These are also going to be great to grow your skating and you will not quickly grow out of them as these are great for advanced skaters as well. You could go with an absolute beginner skate but if you're serious about skating you'll end up growing out of those rather quickly. Just be sure to start out on level terrain and wear your pads and helmet. A: Currently the price for GBP is £212.10 - for international shipping please add the desired items to the cart and then choose the international shipping option at checkout. Q: is the buckles replaceable top and 45? 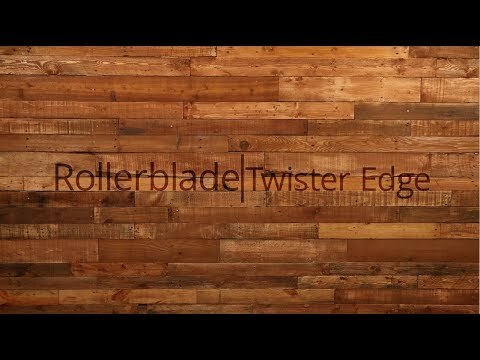 Q: what's the difference between Twister Edge Urban 2018 and Twister Edge Urban X 2018 ? A: The Edge X has the hydrogen wheels and ILQ 9 bearings which are a slight upgrade to the ILQ 7 bearings and Supreme wheels found on the regular Edge. Both are great skates but you pay a slight upgrade fee on the X for the upgraded wheels and bearings.